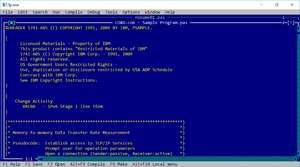 Free Pascal is a 32, 64 and 16 bit professional Pascal compiler. It can target multiple processor architectures: Intel x86, AMD64/x86-64, PowerPC, PowerPC64, SPARC, and ARM. Supported operating systems include Linux, FreeBSD, Haiku, Mac OS X/iOS/Darwin, DOS, Win32, Win64, WinCE, OS/2, MorphOS, Nintendo GBA, Nintendo DS, and Nintendo Wii. Additionally, support for the JVM, MIPS (big and little endian variants), i8086, Motorola 68k and AArch64 architectures is available in the development versions. For security reasons, you should also check out the Free Pascal download at LO4D.com which includes virus and malware tests. Additional screenshots of this application download may be available, too.